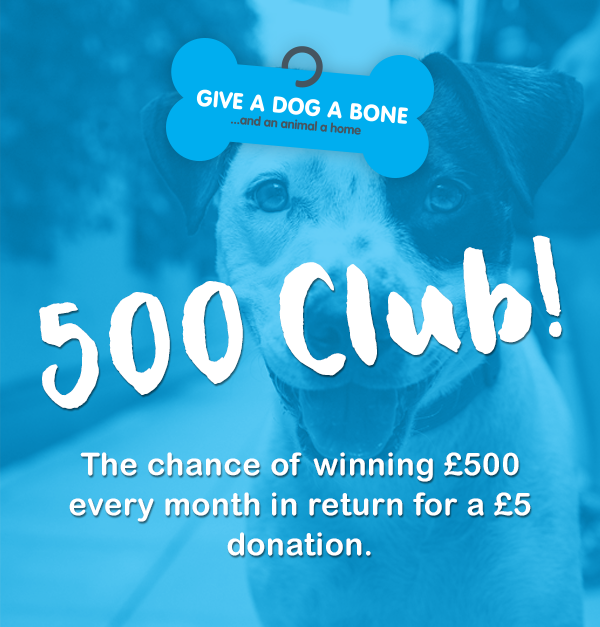 This fundraiser now gives you the chance of winning £555 every month in return for a £5 donation. All you have to do is set up a standing order to the charity for £5 every month and you will be allocated a number between 1 and 555. Each month a number is pulled at random. If your number is pulled, you win £555. Every month, someone will win £555. To play let us know that you are in by sending an email to louise@giveadogabone.net or visiting our Facebook page and sending a private message. If you would like a specific number get in touch via Facebook but be quick! Check out our recent promotional video to learn more about how we are 'Helping individuals through loneliness and animals through homelessness'. A huge thank you to the Brightbeam team for creating the video for us! I would just like to say how much you help me to feed my hounds. If it wasn’t for your very kind help, I would not be able to keep them all! You’re an angel and my hero!! Your help has saved my life – the hounds give me a reason to get up and go out. I’ve met so many people to talk to while walking them all. Once again thank you. Without Give a Dog a Bone, I would not have been able to find the amazing new family for my little biscon felix, who we had to rehome due to family illness. This charity are also looking into supporting my parents financially with their senior dog and trying to arrange a volunteer dog walker for them!! You are truly an amazing and selfless charity. The charities' founder, Louise Russell, wins Amazing Contribution to Community category at the Amazing Women Awards! Join our mailing list below to receive the latest news and updates.